Doug is willing to order all material required, create a blueprint, contact the Retirees when it is time to mobilize and then proceed to lay out the work so that all the volunteers from the club can begin the rough-in and later on install the panel, fixtures and devices. When Doug calls on the troops for help, there have been as many as 14 qualified retired electricians show up for a multi-unit facility, and the Habitat representatives are very impressed knowing that they do not have to be concerned about the electrical portion of the project. 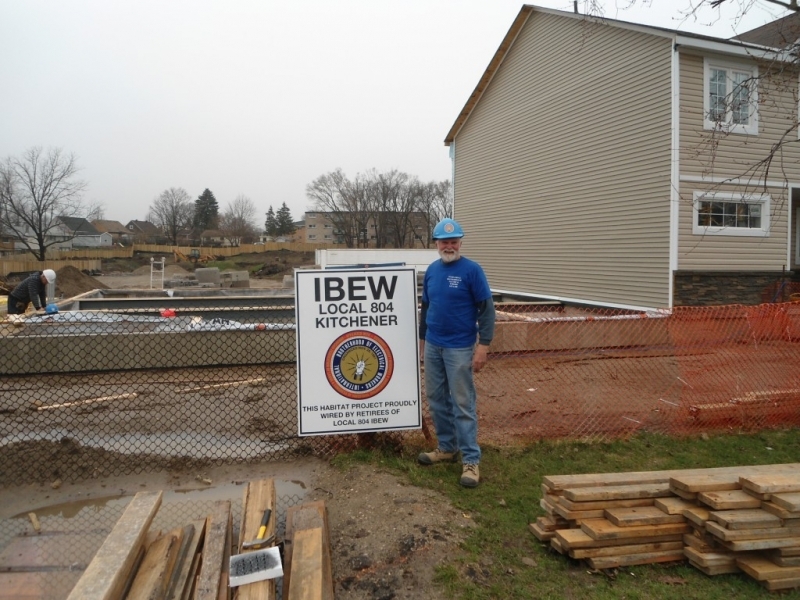 The objective of the Habitat for Humanity program is to have affordable housing built with volunteer labour as much as possible, and indeed there is no cost for labour for the electrical work. This would not be such a success in the community if it were not for the extra effort contributed by Doug Richards.